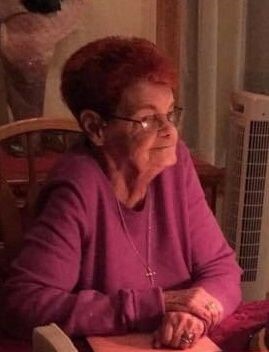 Elizabeth “Bette” S. (Skinner) Tamulynas, 84 of Rockland passed away peacefully at South Shore Hospital on January 13, 2019 surrounded by her family. Beloved wife of 60 years to Charles Tamulynas, she was the love of his life and his best friend. Loving mother of Lynne Goulart and her husband Chris of Braintree, Chuck Tamulynas and his wife Josie of Pembroke, and Paul Tamulynas of Norton. She was preceded in passing by her son Mark Tamulynas. She is also survived by 8 grandchildren: Lisa Panetta, Christopher Goulart, Paul Coolen, Michael Goulart, Chuckie Tamulynas, Nicole Goulart, Derek Coolen, and Robert Goulart. Bette was born in Quincy to Harry and Marjorie (Griswold) Skinner. She was preceded in passing by her sisters Mary Lanni and Joan Nelson. After being a homemaker and raising her family, Bette worked at Roman Research where she met Judy Hocking and formed a very close friendship which lasted until her passing. Bette loved to bake and made the best apple pie on earth. She loved to read and stay up late watching her favorite programs on TV. She loved the Cincinnati Bengals, penguins and Barry Manilow. She will be missed dearly by all who loved her. A private service will be held a later date.